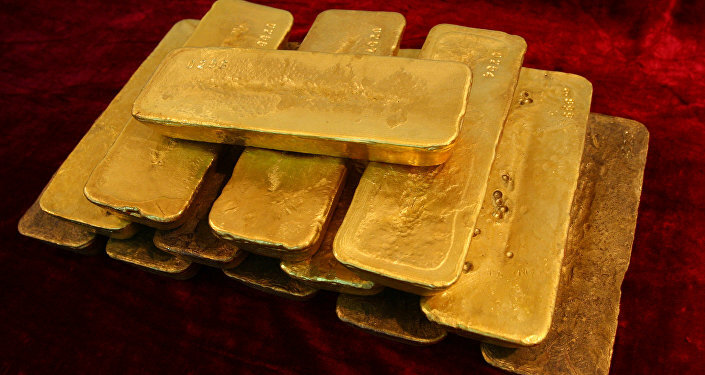 Germany has completed the process of a partial return of its gold reserves from abroad. For the first time in the postwar era, more than half of its reserves have been brought back home. Germany's decision to relocate its gold reserves from New York and Paris to Frankfurt am Main was first announced in early 2013 and was perceived as a bolt out of the blue. Hitherto, the Germans kept only 31 percent of their own gold on their soil, while the rest was located abroad, primarily in the US, Britain and France. The decision of the Bundesbank was seen by many as undermining the foundations that formed within the last few decades. Germany explained its decision by the desire to make the gold more accessible so that it can be sold quickly and without delay when needed. However, later representatives of the Bundesbank declared that they did not plan to exchange any part of the gold reserves for money. One of the most widespread hypotheses explaining Germany's sudden decision to quickly repatriate its gold back to the country was the assumption that Germany was considering giving up the euro and returning to its national currency. In this case, experts argued, gold would be very useful: it would help to stabilize the new currency and protect it from speculators and market volatility. Gold has remained a very popular means of saving among ordinary people and investors. The global economic crisis raised the value of gold fourfold. The overwhelming majority of reserves in central banks of developed countries are invested in gold. Experts argued that German gold repatriation indicates the fact that the global economic system is far from stable. The rise of the Chinese economy, chronic financial and economic problems in the EU, the slowdown in the growth of world trade and the general criticism of globalization, as well as Brexit and Donald Trump's presidency have caused anxiety amongst investors who are increasingly turning to traditional economic values proven by time. And there is hardly something more traditional and reliable than gold.